May buy 4 per customer. May redeem any quantity per visit. 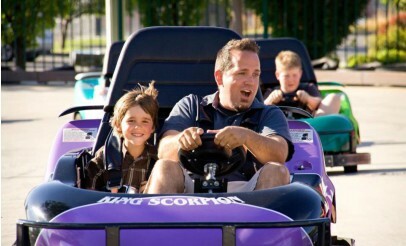 This card is valid for food, beverages, attractions, and game play at Boondocks Food & Fun. This card may not be used to purchase birthday, group, or other discount packages. May not be redeemed for cash. Valid at the Draper and Kaysville locations only. Gift cards must be shipped or picked up from Super Saver Media (14441 S 980 W, Ste 200 in Bluffdale, UT). Gift cards are not available for pickup at Boondocks. No expiration date.See the terms that apply to all deals. With this awesome deal, you get a rechargeable, plastic gift card—the same card you can purchase from Boondocks Food & Fun—for only $17! 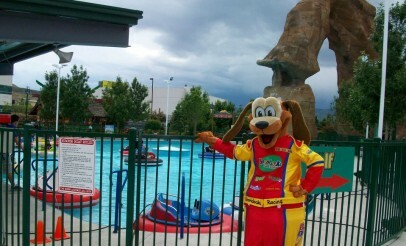 Use the card to purchase food and beverages, play a round of mini golf, take a ride on the go-karts or bumper boats, and much more! 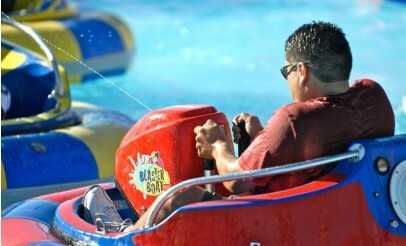 Please visit www.Boondocks.com for a complete list of operating hours or call location for details.